Get the handy little secret weapon every kitchen or barbeque needs! 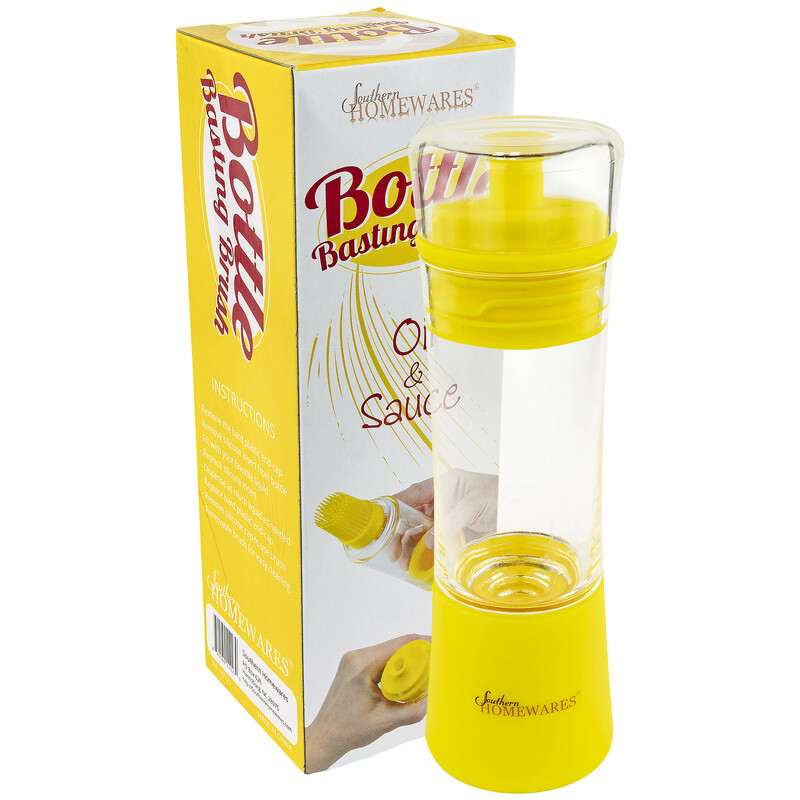 Southern Homewares proudly brings you our superior version of the bottle basting brush. Just load up the reservoir with your favorite marinades, sauces, oils, or anything else and effortlessly brush to your heart’s content with no mess! One good meal cooked, and you’ll agree, our hard-plastic BPA-Free + silicone brush design really does the job! Looking for the best bottle brush on the market? So were we. That’s why we designed the bottle brush that goes way beyond the cheap alternatives and gives you a strong and reliable design you can count on to hold up over the years! Southern Homewares proudly presents our innovative hybrid brush. It gives you the durability you expect from a hard-plastic BPA-free reservoir and cap, with the heat-safe use you get from pure silicone. Just fill the reservoir with your favorite oils, sauces, marinades, vinegars, or anything you need. Secure the cap and then effortlessly brush on the perfect amount of your favorite sauces without messes or fussing around with brushes to clean and rinse. And since every part is designed to be fully dishwasher safe, cleaning is truly a breeze! Once you put these to use in your kitchen, you’ll see for yourself how simple and useful our new no-clog design really is! One bottle brush can sit right there by the stove for oiling your pans, another out by the grill to give your steaks a special shot of your favorite flavor, and another set up with olive oil on the table just for bread with dinner! Versatile and truly convenient! Our improved design gives you a much nicer, more presentable, and durable option than the alternatives. Get the right design, and start enjoying more flavor in your life! Holds 4 US Fluid ounces. Overall dimensions are 2.18" x 2.18" x 6.75"